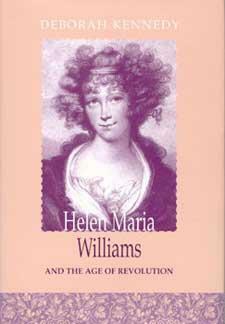 Helen Maria Williams was a colourful character born in the 18th century who managed to stir up trouble for herself at almost every turn. 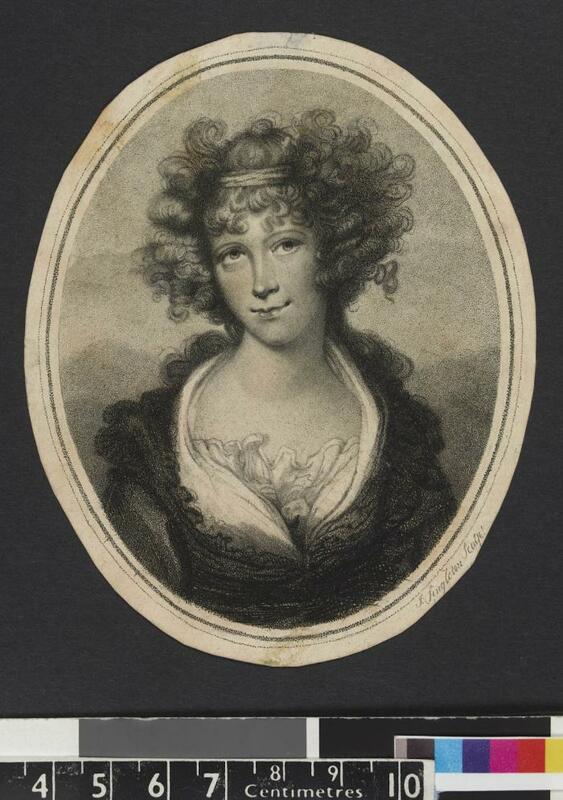 Her considerable output of poetry and prose was often of a highly political nature, criticising the French government of Napoleon, supporting the revolutionaries during France’s Reign of Terror or making outspoken statements on the abolition of the slave trade. 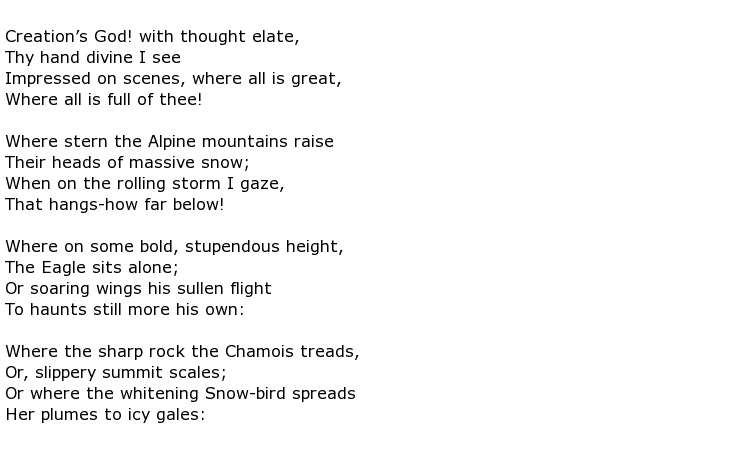 Alternatively she occasionally wrote more lyrical pieces such as Hymn Written Among the Alps and Sonnet to a Strawberry. 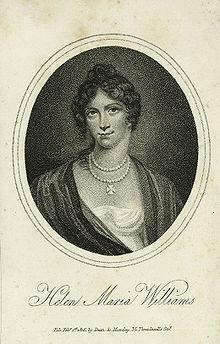 She spent much of her life living in France and was a renowned translator from French into English, thus keeping people back in her homeland up to date with the terrible events in France at the end of 18th century. Little is known of her early life. 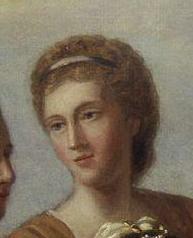 She was born, according to some reports, in June 1759 although this sometimes varies by a year or two. She lost her Welsh father, an officer in the British army, when she was eight years old and the family moved to Berwick-upon-Tweed, a small town on the Scottish border. 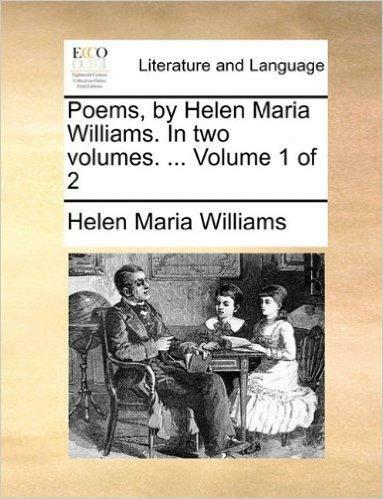 By the age of 22 Helen was able to move to London by herself and she was introduced to the cream of London literary society by a man named Andrew Kippis. 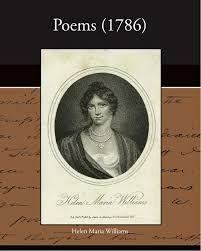 She made a number of famous acquaintances such as William Wordsworth who featured her in one of his own poems, written in 1787. 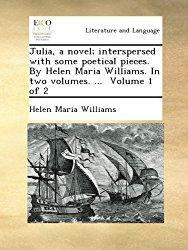 In 1786 Williams had a book simply called Poems published which contained verses on such topics as the colonial practices employed by Spain, religion and a poem about turmoil in Peru. 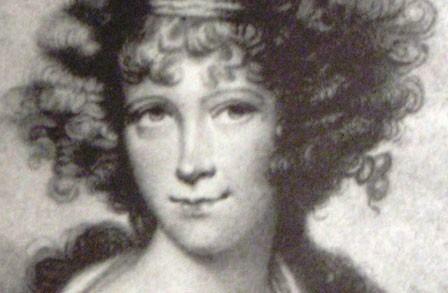 Many critics saw her as excessively radical in her views and she was even portrayed as sexually wanton. This accusation was reinforced some years later when she travelled to Switzerland with a married man, causing a fair amount of scandal in the process. 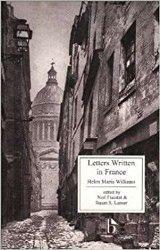 With little regard for her own safety Williams spent a lot of time in France, writing in support of the Revolutionaries. 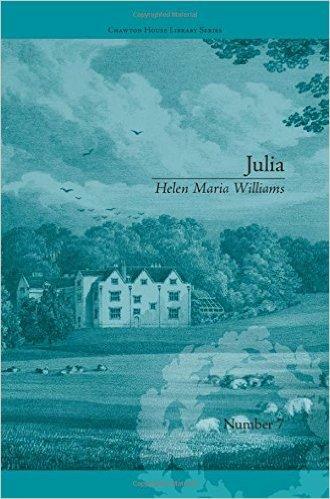 She was imprisoned a number of times because of her views, especially those found in her 1790 novel Julia. When she returned to London in 1791 it was only a fleeting visit. 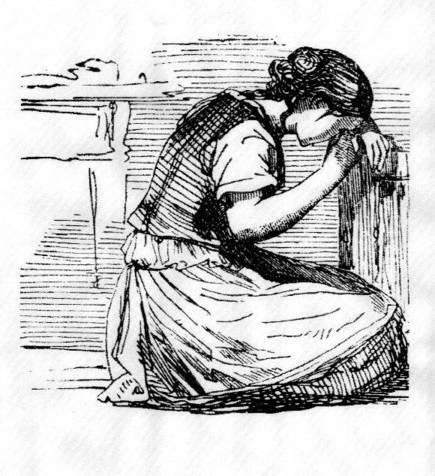 Her heart was clearly in France and she even tried to get her two sisters and her mother to join her there even though the revolution was at its most violent stage by then. 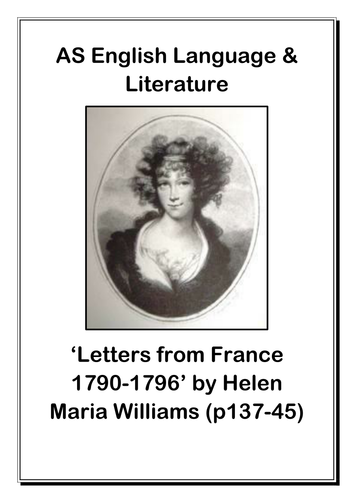 After the notorious September Massacres of prisoners in 1792 Williams found herself imprisoned once more, this time in Luxembourg, where she was allowed to continue her translation work during a brief spell of incarceration. As the 19th century years went by Williams continued to write in a controversial manner, often criticising the rule of Napoleon. Some of what she wrote bordered on treason and yet she was tolerated and was even allowed to become a naturalised French citizen in 1818. After a brief, but unhappy, spell living in Amsterdam she returned to Paris and continued interpreting the latest French trends for English speakers for the rest of her days. 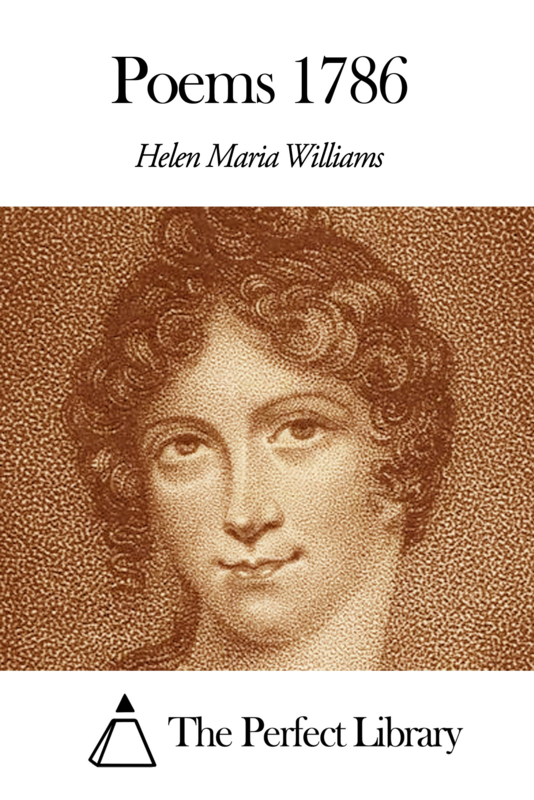 Helen Maria Williams died on the 15th December 1827, aged 68.